Appclick recently launched Multipurpose and Responsive medical template in themeforest market. It provides you multiple options for your medical, hospital and clinical website with 50+ medical and clinic world icons. 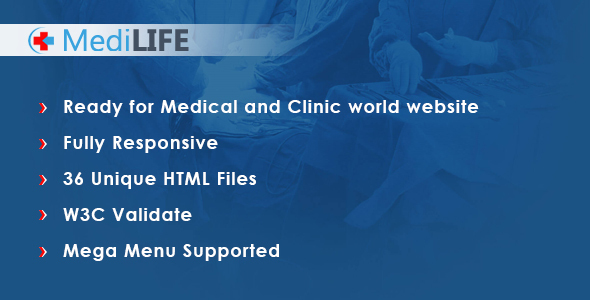 MediLIFE HTML template is very useful for the hospitals, clinics and medicals. It is specially designed to cover all the important concept and services that required for the hospitals and clinics. We built it with clean & clear design, you can customize it easily. If you have any questions or query related to our template, you can contact us & and we’ll get in touch with you in 48 hours to resolve your query.